The NY Times recently featured an article on how reading aloud to children benefits their behavior and attention. Getting students up and moving, and connecting movement to reading and writing can help students in a variety of ways. 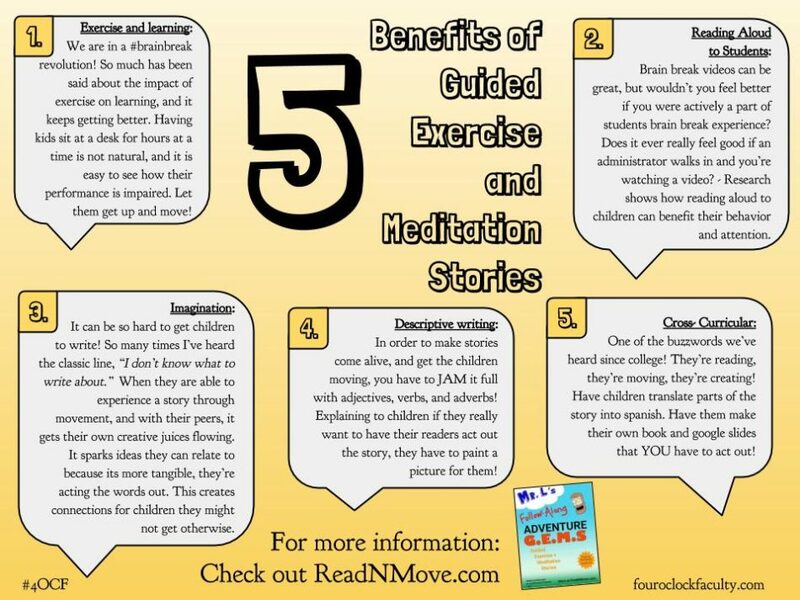 Learn about the benefits of Guided Exercise and Meditation Stories.